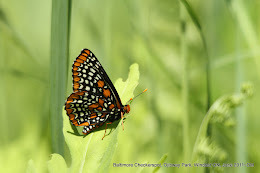 I've attempted to view and photograph some butterflies this week and just figured I would share some of my sightings. I find I'm still learning so much with regards to identification! While I was photographing these butterflies, I heard Song Sparrows, Field Sparrow, Indigo Buntings and Great crested Flycatchers singing from the surrounding trees! 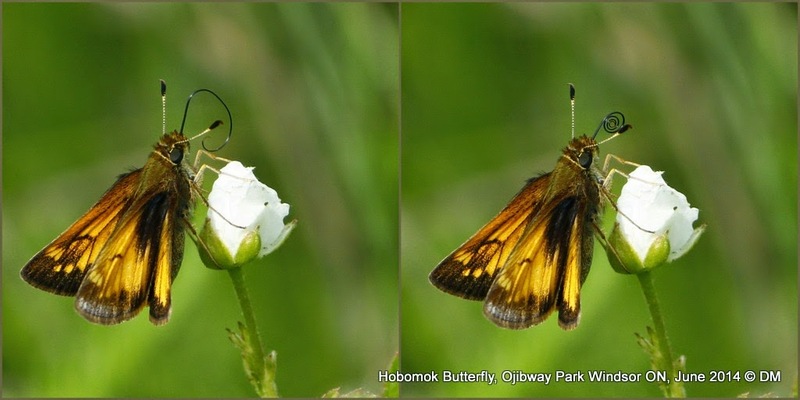 Dorsal views of a female Hobomok Skipper butterfly - Note how it proceeds to coil its probiscis before taking flight! Tawny edged and Crossline skippers are similar, but Tawny are smaller and are more common in June. 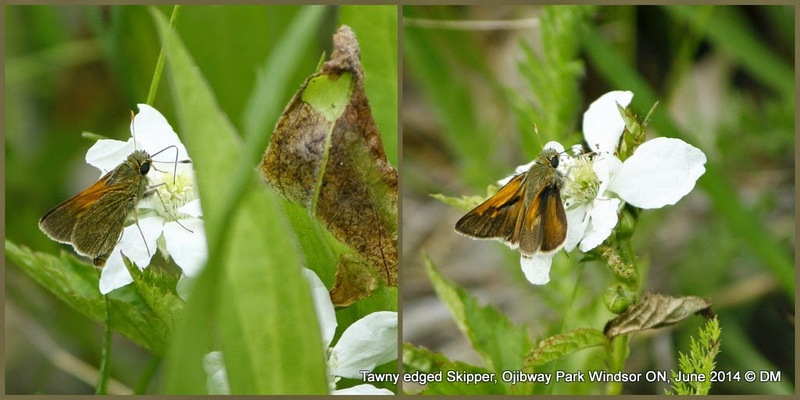 This collage features both a ventral and dorsal view of a Tawny edged Skipper. 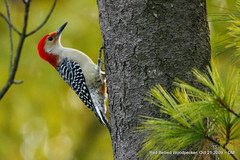 I've realized that there is now an e-bird equivalent for butterfly watchers! Its called E-Butterfly and if I'm not mistaken, its based in Ottawa Ontario! I created an account recently but I just don't know if I have time to really log my sightings. 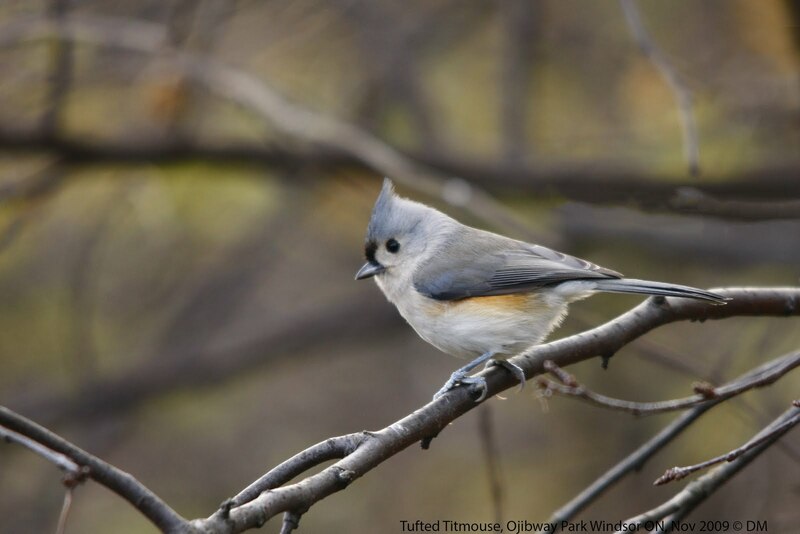 PS: My birding friends recently participated in a Ballie Birdathon which raises money for Bird Studies Canada. I don't know if I can motivate any of my blog readers to donate but if you are so inclined, please click the link here for the "No rEgrets" team. Kory Renaud, Jeremy Bensette, and Jeremy Hatt have raised over $1000, and I just donated $40 myself. I read recently that North Americans spend $2 Billion per year on Halloween Candy... Imagine people donated just a fraction of the money they spend on Halloween candy to conservation and research? 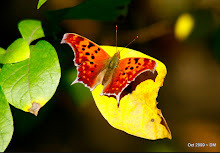 Nice collection of butterfly shots, Dwayne....some of those little ones are hard to get!